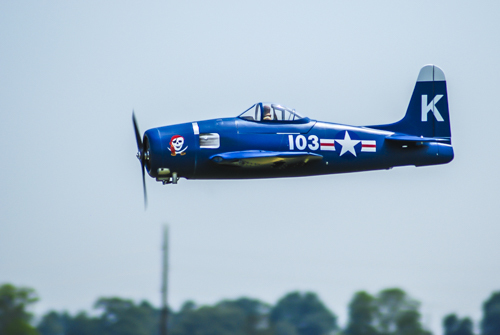 Our mission is to enjoy and promote the art and sport of model aircraft flying and to develop interest within our local communities. To encourage kids to get involved in a hobby that will promote their enthusiasm to learn and to have fun. 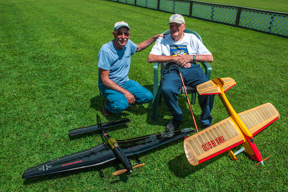 Our members range from 17 years old to 91 years old drawn together by a common interest in “things that fly”. Most Sundays when the weather is favorable there are 8 to 15 pilots at the field. Members are free to use the field at any time that suits them. Open meetings are held on the 2nd Wednesday of each month at the field May thru August and in the Old Hurlock Train Station during the winter months when temperatures or daylight don’t support meetings at the field. Meeting time is 7:00 PM and visitors are welcome. August 18 – 19 ?? Invitational Jet Rally 9am until ? The weather man predicted 25 mpg gusts and 45 degree temperatures on Sunday, so pretty much everybody stayed home. 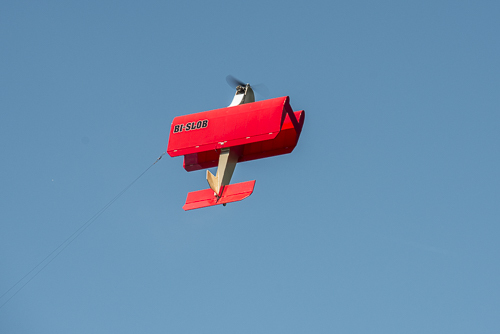 Here are some photos of the flying that took place in this "close enough is good enough" weather we actually had. 4826 Vienna Rhodesdale Rd, Vienna to get to the new field. Take the left at the fork in the road. The club provides current weather from the field updated every 5 minutes or so. This feature was an idea shared with us by our friend Brad Davy of the Frederick club and IMAC.